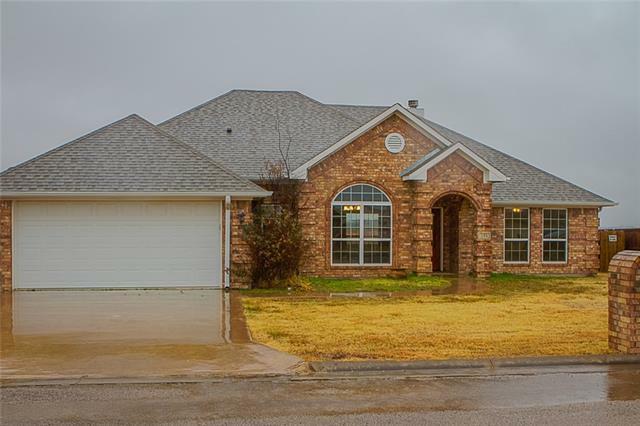 All Bells homes currently listed for sale in Bells as of 04/24/2019 are shown below. You can change the search criteria at any time by pressing the 'Change Search' button below. If you have any questions or you would like more information about any Bells homes for sale or other Bells real estate, please contact us and one of our knowledgeable Bells REALTORS® would be pleased to assist you. 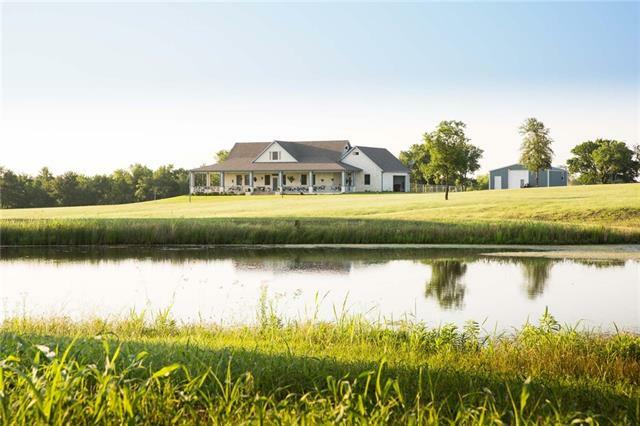 "138.9 acres with wonderful rolling terrain. Good fertile land. Scattered trees. 3 ponds. 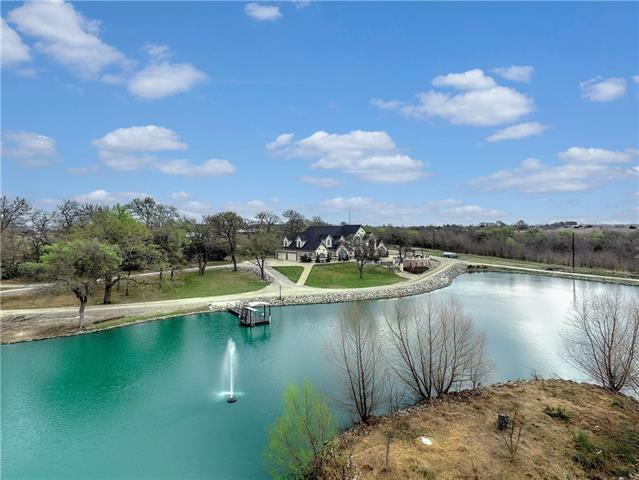 Private lake frontage & access. Hilltop Circa 2002 3 bedroom, 3 bath 1527 sq. ft. brick farm home sports updated kitchen & WBFP(currently gas log). Enjoy sunrises & sunsets from east & west facing covered porches. 40 ft x 60 ft. Quonset metal shop building with electric(110V & 220V), water, huge double doors on west & east ends, & large overhead hoist. Exquisite panoramic vistas. 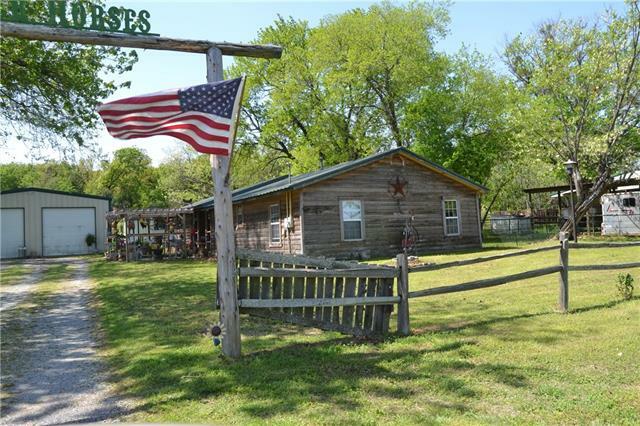 Property abuts a 31 acres co"
"Gated entrance opens to a 7.364 acre country haven in Bells Texas. The outdoor living area gives you a place to enjoy the serene surroundings overlooking the shared 7 acre lake with a fishing, diving pier. Family fun comes daily when feeding the hundreds of waiting fish and flocks of geese. Entertaining is easy in the open floor plan and then step into the gourmet kitchen with two refrigerators, two ovens, two gas cook tops, 2 dishwashers, 3 sinks and plenty of work space would delight any cook." 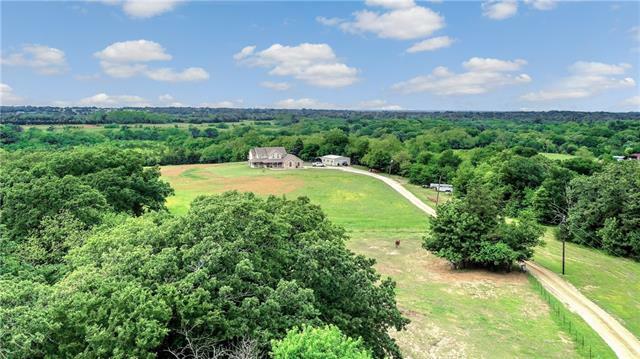 "Breath taking views atop one of the highest points in Grayson County! Perfect for your weekend retreats or would also be a great location for your future home. There are several producing pecan trees, fruit trees, a large tank, and two smaller ponds. A main house with 4 bedrooms, 3 full baths, game-room, dining room, and newly remodeled kitchen. 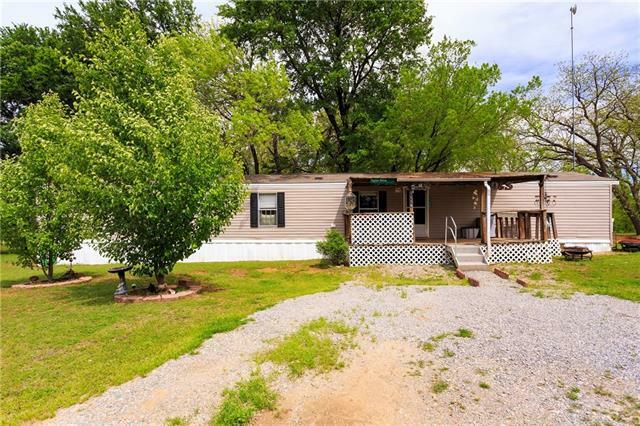 There is also a beautiful guest house with 2 bedrooms, 2 full baths, living room, and a large newly remodeled kitchen with plenty of storage cabinets an"
"This 80 acre ranch can be yours today! 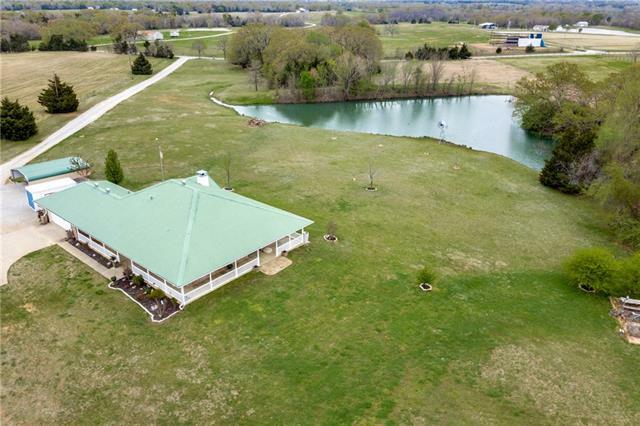 It has Equine facilities, complete with a round-pen, indoor cutting arena 4+ stalls attached to arena with paddocks off of each, improved pastureland for cattle, pond to leisurely fish, wooded area that is home to a range of wildlife and the Ranch House for living quarters! A high-fence game ranch sits just across the FM road from the property adding strong genetics to the already-outstanding, local Whitetail population. 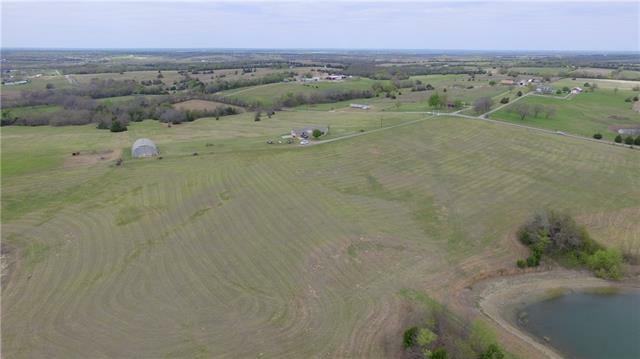 Reference MLS#'s 13896179, 1389618"
"Come relax and enjoy these 28 gorgeous, rolling acres from this homestead in Bells! From the minute you start down the driveway you'll appreciate this property and never want to leave! Inside features an open kitchen, 2 living areas, a pellet burning fireplace, and much more! Upstairs offers 3 bedrooms including a HUGE master retreat with its very own private balcony to enjoy those breathtaking Texas country sunsets! 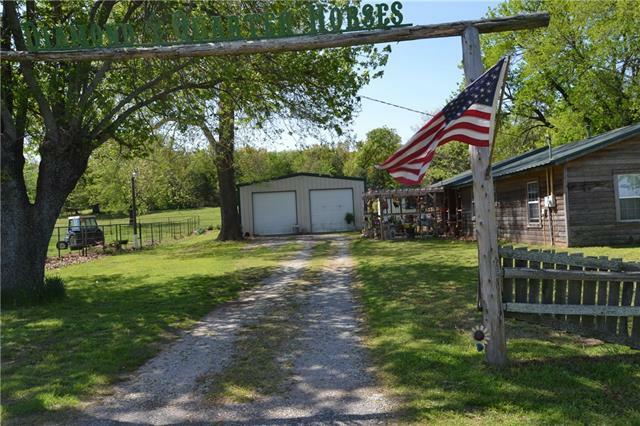 Property has a fenced area for your horses, shop with electric, and ample "
"Custom Home on 13.69 acres, located approx 15 miles from Sherman. 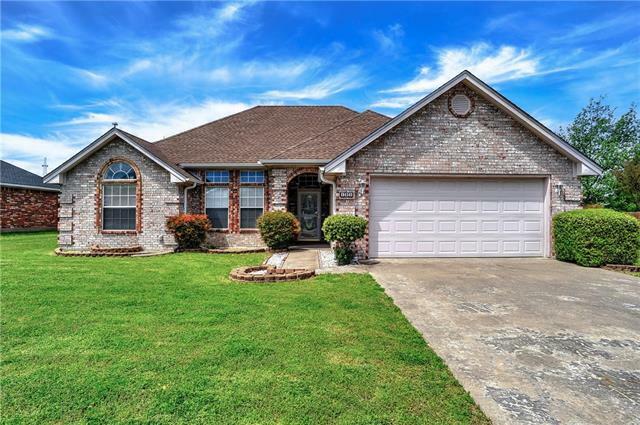 This home offers open concept floorplan great for family gatherings. Lots of natural light and detailed wood work throughout including coffer ceilings and hardwood floors. Oversized laundry room with storage and room for hobby work space. Sprayfoam Insulation and stairway access to decked attic. A front porch made for relaxing, stamped concrete and amazing views perfect for watching the evening sunset. Rear screened-in porch ope"
"Scenic 11 acres with 3 bedrooms,2 and half bath brick home. pond stocked with fish, just a short distance away. Wrap around covered porch to enjoy the view from 3 sides of the property. Fenced for cattle, ag exempt, two carports, trees and creek running on northwest part of the property. Master suite opens out onto the covered porch, spa tub, separate shower, large master closet, Living room has fireplace with gas logs and built in shelves, ceiling fans through out, kitchen has granite CT, micro"
"This property is a 22 acre tract of land to be surveyed out of the property described in MLS# 13885732. 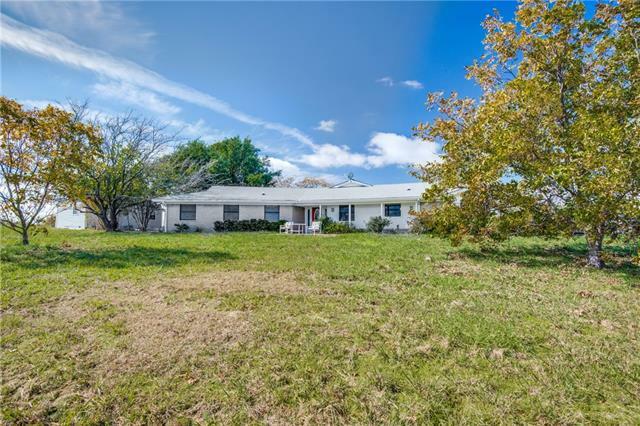 It features the Ranch House, Equestrian facilities, and Workshop." "Beautiful home with stunning countryside views. House is well appointed with new paint and carpet, stainless appliances reverse osmosis water purifier and a new roof. The floor plan is perfect with an open family room to dining room. Brick fireplace for those cold winter evenings. Breakfast nook and living room offer fantastic views to the west. Master bedroom is separate from the other bedrooms for privacy. You are going to love all the space in the back yard and the storage building is perfect"
"Your piece of paradise! 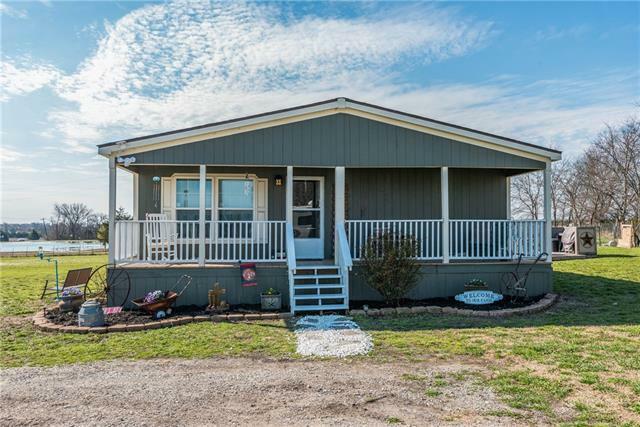 All the acreage is field-fenced, and the covered front porch welcomes you home! Once inside, you find the large, open floorplan to be the special feature of the interior. 2 living areas anchor the huge kitchen, providing separate spaces for kids and adults to play games or watch TV. The split floorplan features a massive master suite on the south end of the house with a soaking tub, separate shower, and a closet the size of a bedroom! 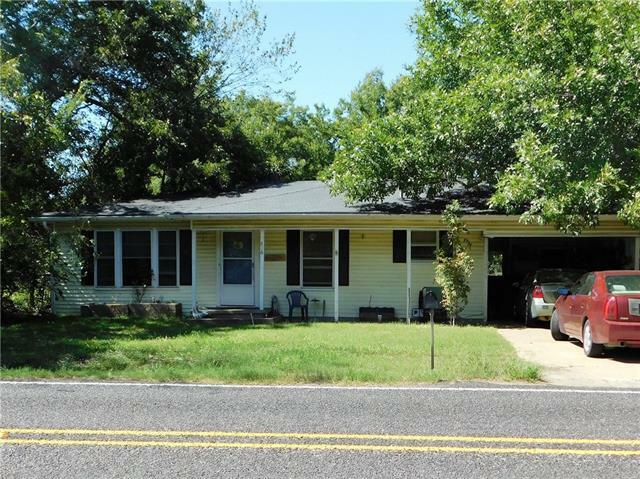 Out back, the deck provides a gr"
"This well cared for home is move in ready. Quality kitchen cabinets in the big kitchen. Living and dining areas are open and have a cozy fireplace with gas logs. The big covered patio is a great spot to enjoy the Texas sunsets. Lots of room in the backyard for a garden or dogs or kids. Don't miss the storage building out back. Bells ISD! Quick commute to Sherman-Denison and just 30 min north of McKinney. Don't miss out on this great opportunity to enjoy the good life in Bells." "HOW ABOUT THIS DARLING TWO BEDROOM HOME. THE COLOR OF YELLOW SHOWS HOW MUCH HAPPYINESS IS IN THIS HOME. NICE SPACIOUS EAT-IN FOOD PREPORATION ROOM AND LARGE FAMILY ROOM IS ADJACENT. THE MASTER BEDROOM HAS HIS AND HER CLOSETS. HANDSOME WOOD FLOORING. THE LARGE BACK YARD IS PERFECT FOR OUTDOOR ACTIVITIES AND ENTERTAINING YOUR SPECIAL FRIENDS. STORM WINDOWS"
"If peace and quiet is what you're looking for, look no more. This home is elevated above the road and has wonderful views. Home has so many updates, flooring, kitchen and bathroom sinks and faucets, LED lighting, and appliances. Recently installed aerobic system. A small creek runs behind the home . Property line extends past the creek. Located in Bells ISD."